Fans of Koyaanisqatsi, the beautifully filmed but essentially plot-less movie, will be excited to learn that an app has been made to mimic the style. 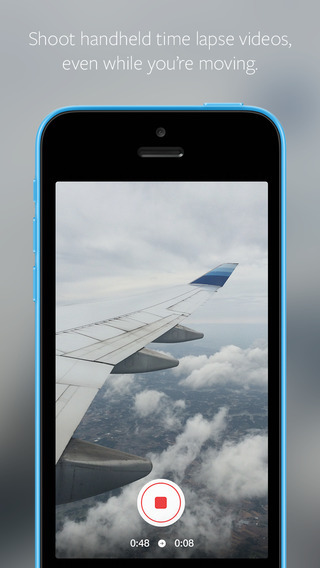 The inventor of Instagram’s new app, Hyperlapse, was inspired by the work of cinematographer Ron Fricke. Fricke’s movies often feature slowly panning shots that have been speeded up. Typical scenes are traffic, crowds, herds of animals, insects and so on. The equipment required to achieve that is complex, panning so slowly takes precision because the slightest jolt will be obvious when played back at high speed. But you can forget all that now, because you can do it on your iPhone just by waving it about a bit. Well that’s what people seem to think anyway. The app cam out today, and Instagram is already awash with pointless awful footage of people in traffic, or pointing it at their shoes. Hopefully this is a temporary blip, while people get the measure of the app. But I worry it isn’t. Despite the terrible results people are getting today, the technology in the app is very impressive. The design of the app is extremely well thought out too. Having almost no controls, all the user can do is select the speed of playback. There are no filters, or really any other options. Sadly that means there is option to make headlights streak across the night, like in Koyaanisqatsi. The clever bit is the image stabilisation. Nothing new you might think, but the stabilisation in Hyperlapse is a quantum leap ahead of what you might expect your old video camera to do. There are apps like iMovie that offer image stabilisation, but while that’s good, it’s very slow to do. Hyperlapse is pretty much instant, and the results are silky smooth and cinematic. The developer aimed to get the Ron Fricke look, and that’s exactly what you get. So long as users actually take the time to think out their shots. Hopefully that will start happening soon. Pros: It’s free, and it’s amazing. Cons: People that use it need a tiny bit of skill. No filters.